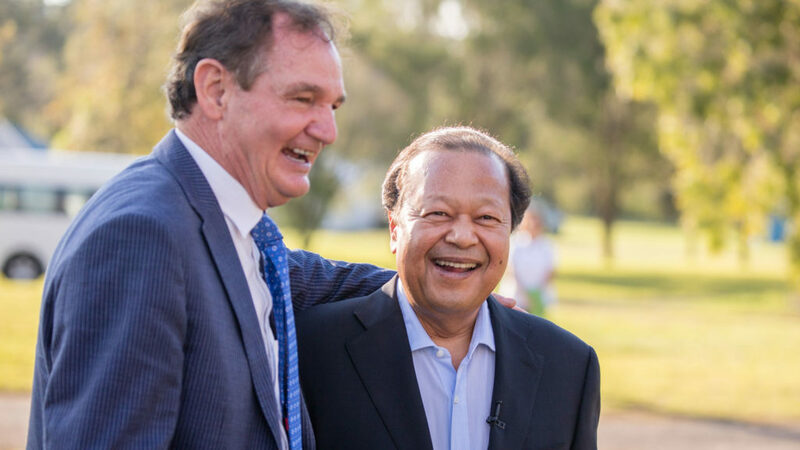 Prem Rawat's cult compound at Peak Crossing near Ipswich in South East Queensland has attracted some controversy. The neighbours have been particularly incensed by the occasional arrival of thousands of people for a few days and the attendant traffic and disruption to their peaceful lifestyle. They have also been perplexed by the weird secrecy surrounding the guru himself and pissed off by being watched and photographed. Rawat's administrators have attempted to make the case that the millions of dollars spent on Amaroo aka Ivorys Rock Conference Centre and the money spent locally by the "conventioneers" has been a great boost to the local economy. Prem Rawat found a particular "mate" (Aussie slang for friend) in long time Ipswich mayor, Paul Pisasale, who was happy to hug his little buddy. In 2017 Pisasale was arrested in Melbourne airport carrying a suitcase containing $50,000. This set off investigations that ended with Prem's good mate Pisasale being charged with bribery, official corruption, extortion, fraud, perjury, perverting the course of justice, stealing $60,000 from various charities and taking Viagra without a prescription among numerous offences. 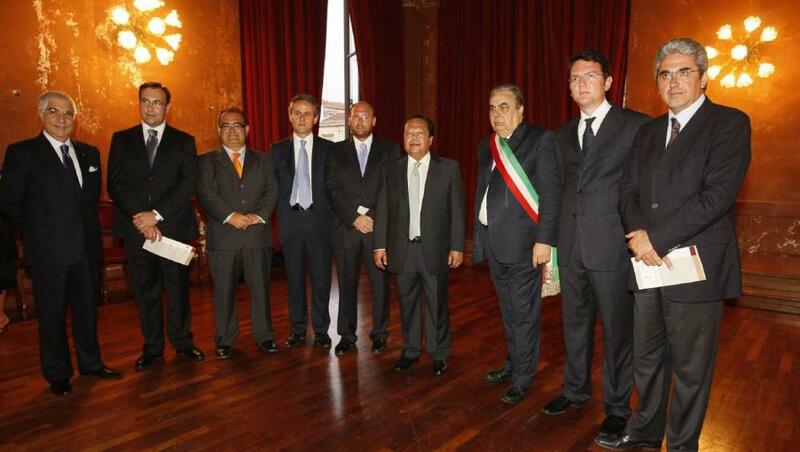 Since the beginning of the Legitimacy Project Rawat's followers have made great gains in getting Rawat meet and greets with minor political figures especially dodgy Sicilians and European Parliament members in Italy and Russia. He's also likely to be photographed making donations to charities and receiving "awards" from "front groups" promoting peace. But whenever you see a meeting of major, respected political, religious and spiritual leaders you won't see Maharaji amongst them but if you're looking for shady, minor Sicilian political figures.